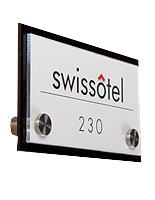 This DIY directory sign frame makes it easy to create custom signage with a unique shape. 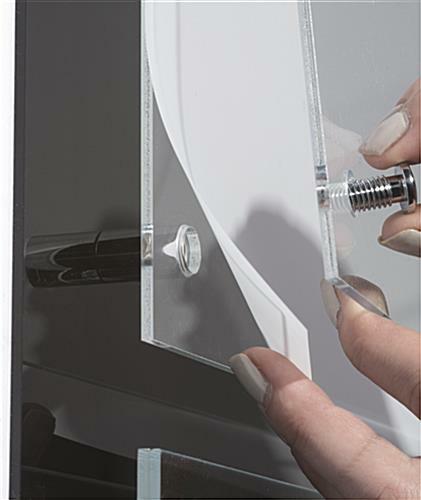 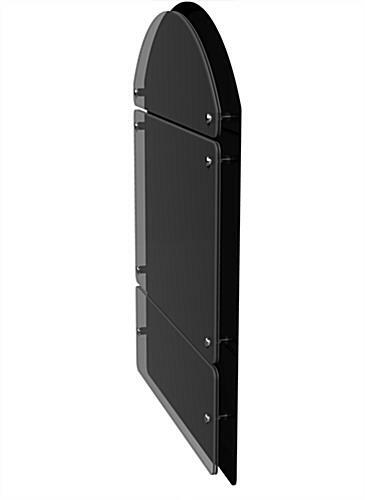 Each acrylic wall mount display fixture features a single black backing panel and three clear acrylic panels with silver standoffs. 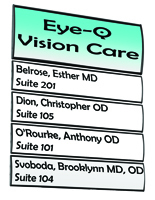 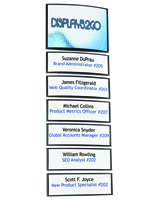 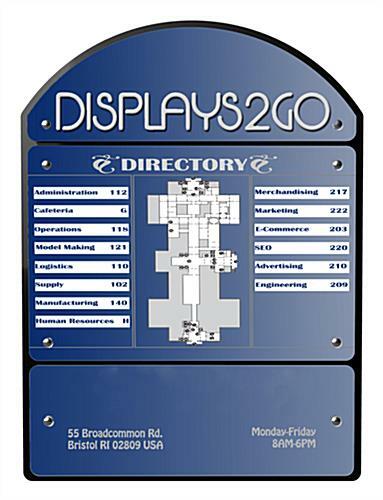 The easy to create directory sign frame comes with easy to use templates to design and print the contents. 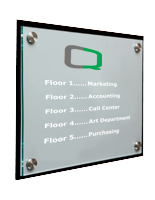 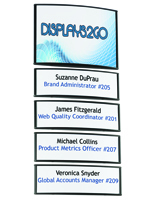 Custom display signage gives a professional, stylish look to any business or environment. 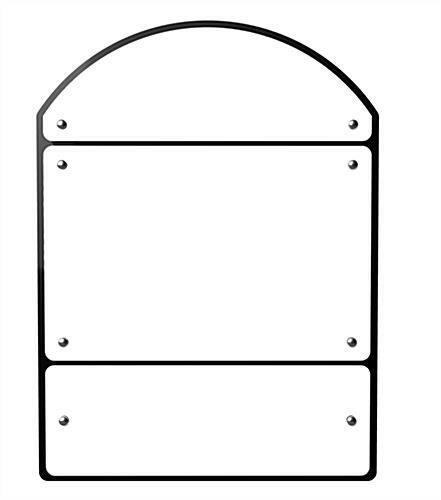 This multi-section directory sign frame features a rounded top section that gives the entire fixture a domed shape. 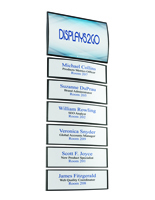 Each wall-mount unit comes with (12) sheets of film for laser printing graphics or text. 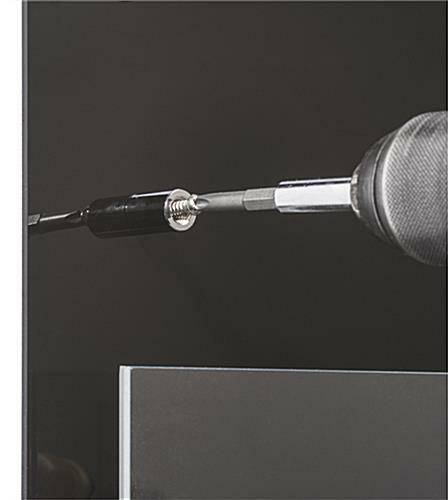 Please Note: Artwork is not included with this item. 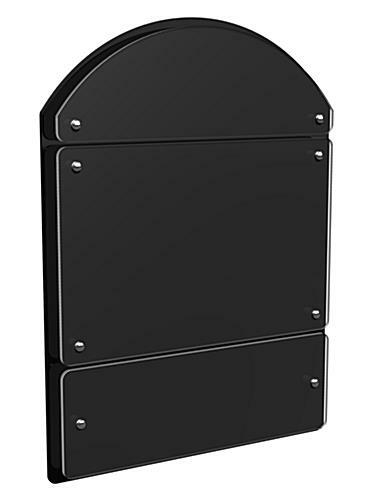 Each fixture comes with (2) templates: top/bottom panels & center panel. 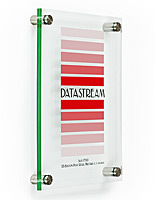 Each unit comes with (6) sheets of clear film and (6) sheets of frosted film. 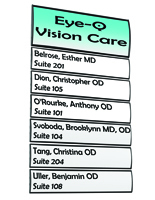 Full size panels require laser printers capable of printing on 11" x 17" media. 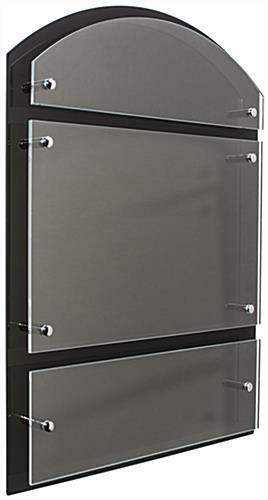 18.5" x 25.0" x 1.0"
11" x 17", 5.25" x 17", 5.5" x 17"